A perspective we don’t often get. 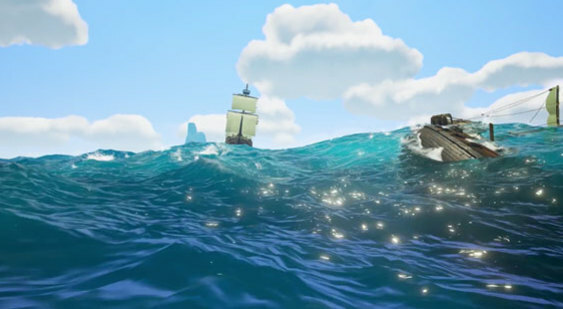 Rare’s upcoming Sea of Thieves looks like it might be their comeback title, after almost a decade and a half of putting out middling products that were a far cry from their venerable legacy on the SNES and Nintendo 64. But it is also entirely unlike anything else the studio has ever done before- the game is going to be an online shared world multiplayer adventure, which is totally different from the primarily single player titles the studio has been known for so far. In an interview with EDGE (April, Issue 317), Rare discussed the entirely different mindsets and paradigms when it comes to the development of an ongoing, live game-as-a-service. “As a creative, as long as you can put bread on the table and go home and afford to feed the family, then you just want as many people playing your games as possible. We want to be a successful service, and that is driven by the amount of people playing our game. It’s an interesting kind of project, really, because historically, I’ve worked on singleplayer games where you release them, you do a bit of DLC maybe, but that’s it,” Rare’s Ted Timmins stated. And how does that affect things? Well, for starters, testing becomes an ongoing automatic process, rather than a manual dump, if only because of the scale of the game. It also means that nothing has to be cut out. This is really an interesting perspective on games as a service versus traditional games from a developer’s perspective, the kind of thing you don’t otherwise get to hear about often. After all, why do so many developers seem to opt for making live, ongoing services than traditional games? Apparently, even from a creative perspective, it seems like there are merits to games as a service from a development approach. Sea of Thieves launches later this month on PC and Xbox One. You can check out the full story, and get more information on the game, in EDGE’s April issue. You can subscribe to the latest EDGE magazine over here.